old counties of Glamorgan and Breconshire. Above: Cwmtwrch Isaf (Lower Cwmtwrch) looking down the valley road. terraces like this one, set at right angles to the valley roadway. 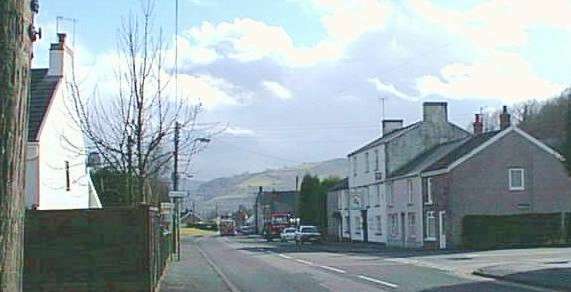 Above: Tafarn Twrch (The Boar Inn), one of the many pubs in the village. 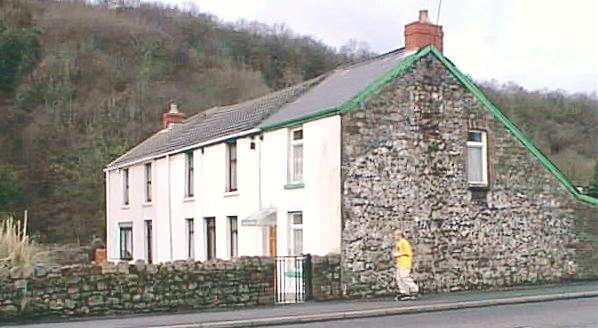 Above: Old housing in Cwmtwrch Uchaf. 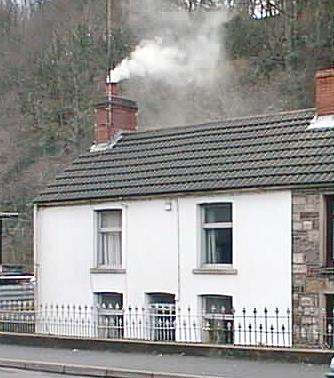 Note how the valley road is several feet above the ground floor of the cottage. 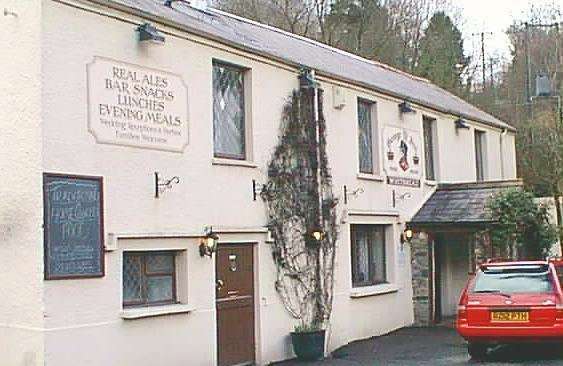 Above: The 16th Century George IV Inn in Cwmtwrch Uchaf. 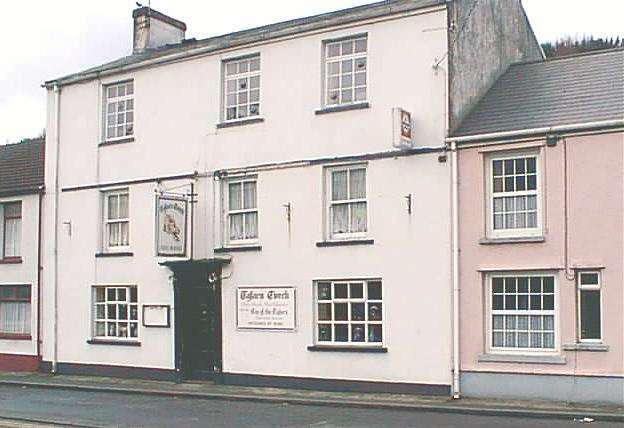 The inn is built on the boundary between the old counties of Breconshire and Carmarthenshire. At one time, the licensing hours were different in each county, and it is said that when the landlord called "Time gentlemen please" at one bar, the clientele would simply stagger a few yards across the county border to a bar in another part of the inn, where the licensing hours were longer!